Think of it like a doctor making a house call. We come to your place of business or home and troubleshoot your issue to the fullest whether its a simple printer issue or a complex networking problem. And we do not charge travel time on top of our hourly rate. Some services will require us to take your device and return it after the repair. Macs, PCs, Linux Machines, as well as Android and iOS Devices, we have exprience with all of the most popular environments (and even some not as popular ones). Many clients have specific requirements based on the software they run or the industry they operate in. Because of this we do our best to support what the client requires to operate at peek efficiency. When the problem is a simple, on-going maintenance is needed, or the client is in a different geographic location, we can provide rock solid and secure remote assistance. Whether its your phone contacts, calendars, emails, or other digital information that you have scattered throughout the internet, we will consolidate everything and ensure all the data is easily accessible to you and is properly syncing between all of your devices. We offer our services in multiple forms for both businesses and individuals. On-site refers to when our technician is physically at your location. Remote is when our technician is using secure remote support (or screen-sharing) to remotely handle your problem. Just got a new computer or thinking about getting one? We will completely configure it to meet your specific needs and have it ready to tackle your work. Quality hardware and software needs to be cleaned up and optimized from time to time in order to ensure reliable operation and prolonged lifespan. Whether its swapping that old, slow spinning hard drive for a super-fast solid state drive or making sure your business critical software applications get upgraded to ensure the best possible performance and security, we are there to handle it. Everything is networked and needs to communicate these days. We specialize in creating or augmenting networks to make them as robust and resilient as possible without breaking the bank. Even the best of us sometimes get infected with some malicious content. We specialize in determining the offending program(s) and eradicating them. Ever have your contacts and calendar events spread out across multiple accounts to the point where you don’t know where anything is? We specialize in consolidating all your data to ensure it is in the right place and easily accessible to you. This also applies to emails and photos. We are there to hold your hand and ensure all your data is where you want it and syncs across all your devices if desired. From simply scanning documents to ensuring your employees are as efficient as possible, there’s always a need to teach people how to properly use equipment and software. Nothing is worse than losing your data. Whether its a single failed drive or a more complex array of disks, we have extensive knowledge and expertise to recover your data by any means necessary. Whether its fixing an email issue with your current provider or system, or moving your entire workforce to a new, more reliable email provider, we have your back every step of the way . Some of the most sensitive and high performance systems require databases to store and reliably retrieve information. 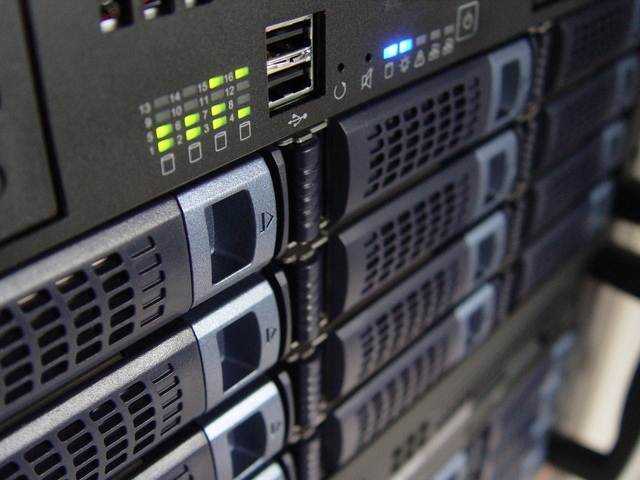 We ensure your mission critical databases are always backed-up and protected. Everything you need in a premium web host with personalized service. We provide powerful hosting whether its for your personal blog or a top-notch e-commerce site. With fully managed web hosting we handle everything from configuration and consistent security updates to troubleshooting, ensuring your site is always up and accessible to your customers. Our servers are running only the most up-to-date operating systems and services. We offer out plans with cPanel administration that you know and love, giving you complete control of your hosting experience and free SSL certificates (Powered by Let’s Encrypt).